Looking for the best pro movers in McLean, Virginia? Moving in or around McLean, VA? We are the company to call! Our moving and storage experts stand head and shoulders above those other two guys and a truck movers, or 2 guys 1 truck type movers that proliferate in VA. Know that with us you can be assured of great and reasonably-priced service plus a stress-free moving experience. Whether you are making a move across the street, across town, or beyond, you can trust us to be efficient, careful, and affordable. Give us a call today to schedule your move or arrange a visit by one our moving counselors. Senior Assisted Moves: Whether to a assisted living, condo or relative, we have the expertise to help. Storage Solutions: We have secure, temperature-controlled facilities where your belongings will be kept safe-guarded until you say so. Local and Long Distance: You can trust that all your belongings will be safe while in transit to your new location, whether it is across town, the state, or the entire country. Liability Insurance: We provide Actual Cash Value Liability Coverage with just a $500 deductible. And it’s good for up to $5,000 for any covered losses you might incur during the moving process. And, best of all, we provide it all for free! If you are planning a big (or little) move out of McLean, we are here to help! Our pro movers are also experts in packing so you can be sure that our careful movers are in charge of your personal items and that all will be secure and safe while in transit to your new location, whether it is across the county line, the state, or the entire country. Rely on us for packing, moving, and storage no matter your starting point or destination. Let our McLean pros worry about your items so you don’t have to. Call us for more info and a free moving quotation! Need packing supplies but don’t have the time or desire to hunt them all down? Don’t worry – we have everything you need! We have wardrobe boxes, which are like a portable closet, and can be the perfect solution for many people. Each box holds 18 to 24 inches of clothes that would ordinarily be hanging on a bar in your closet. These are available for your use on the day of the move for a nominal fee. We also carry all kinds of packing supplies including boxes of multiple sizes and specially constructed cartons for items like flat screen televisions, china, mattresses, glass and more. Plus, we offer free delivery for all orders that come in over $100. If you require storage for your business or personal items, we have secure, temperature-controlled, and clean warehouses available. We are also glad to transport your items to any other storage facility you choose. Some examples are located at 1315 Beverly Rd, McLean, VA 22101, 1510 Spring Hill Rd, McLean, VA 22102, 1751 Old Meadow Rd, McLean, VA 22102 and others. Just call us for more info. We’ll take care of all the drudgery so you don’t have to. Give us a call to find out more about our many storage options and our reasonable rates for moving! With almost a century of experience in the Northern Virginia moving industry, we deliver – on time, every time. 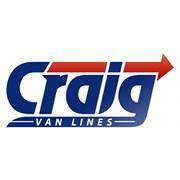 Craig Van Lines is a family-run moving company focused on the customer. Our passion for excellence can be seen in our customer service, attention to detail, value-added services, experience, and our people. Our experienced and professional McLean movers will pack, transport, deliver and unpack your property with great care and consideration. We treat each box as if it were our own and we always deliver on time anywhere in Northern Virginia and throughout the United States. Call us today and learn why we are the preferred movers in the 22101 and 22102 zip codes! Your team did a great job with our move yesterday. The guys were friendly and efficient and came in slightly under the quote for the job. Our only comment would be that it would have been nice to get a head's up that they were coming more than an hour before the scheduled time for our move to begin. We were told that they would arrive between 8 and 8:30 and they showed up a bit before 7. We appreciated the early start but were still in our pajamas! Thank you for your feedback regarding your move with our company. Our apologies on the lateness of our response. We are happy to hear that you were satisfied with the services we provided to you and completely understand the inconvenience of the timing of our crew's arrival. I apologize for the miscommunication on our part and that you were not given a head's up to be prepared.